L for lemon. So instead of making a pickle from scratch, I resorted to the now regular rasam recipe. For a sadya, rasam is served after the sambar course. 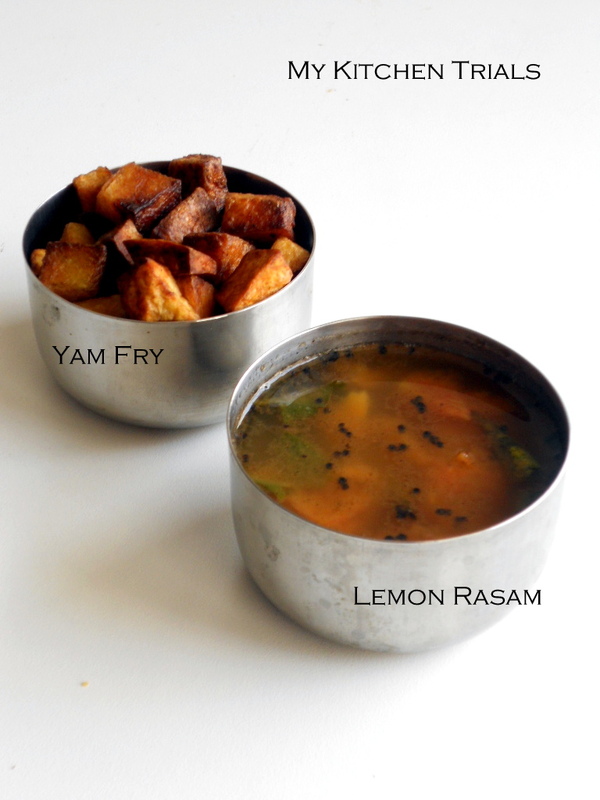 Its usually not a flavored rasam, but when preparing at home we can choose what we want. The flavor of ginger and green chillies in this recipe is just heavenly. The rasam tastes good by itself as well. Wash, clean and pressure cook the toor dal and keep aside. Clean the chillies and slit them open. Wash, clean and peel the ginger piece. Cut the tomatoes into small cubes. In a kadai or in a MW proof dish, add the chillies, ginger, tomatoes, sambar powder, pepper powder, salt, tamarind paste and one cup water. I use MW for this and cook this for 5-6 minutes on HIGH. If you are doing this in stove top, bring it to a boil and cook till the tomatoes are done. Mash the tomatoes gently with the back of a ladle. Add two more cups of water and the cooked dal. The dal must be well cooked, and it can be mashed with the back of the ladle. Bring it to a boil and let it boil for 4-5 minutes. Do a taste test and adjust seasonings. Add more water if required. Add the chopped coriander leaves and boil for another minute or two. Take off the heat. Squeeze the lemon juice into this. In a small pan, add the ghee/oil. Add the mustard seeds and once they crackle, add the curry leaves. Wait for the curry leaves to change color. 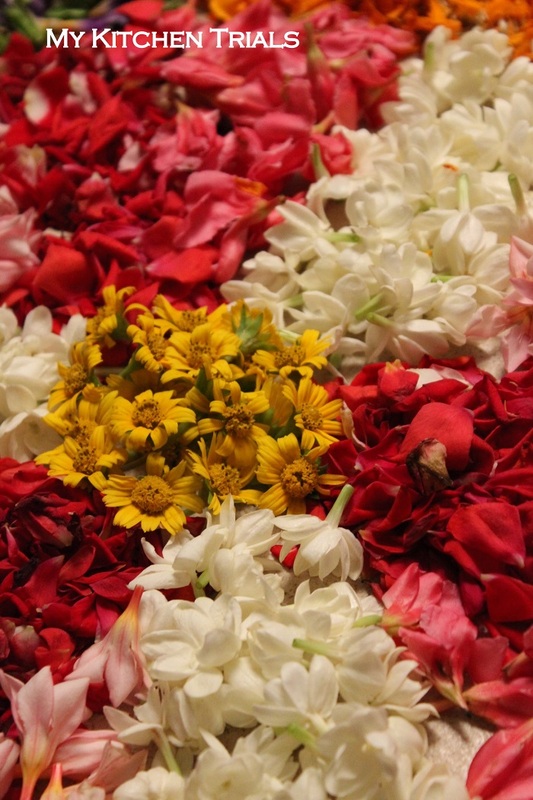 Top this into the prepared rasam. This is excellent when drank by itself also. 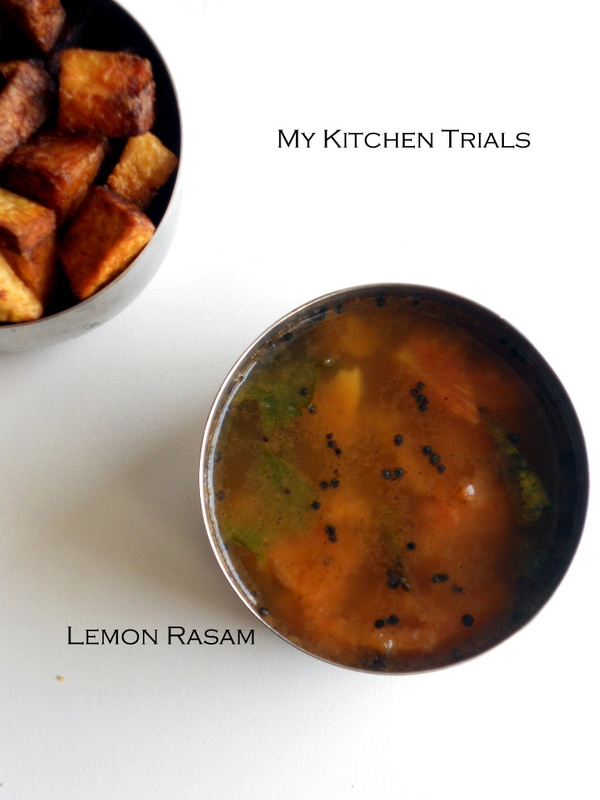 Apart from the seasoning i do lemon rasam the same way too, Such a comforting food. Mom makes this rasam I love it very much couldn’t help noticing the arvi fry behind do u have recipe for that I like the look of it. very rarely we use moong dal for rasam ! This idea is good let me try! 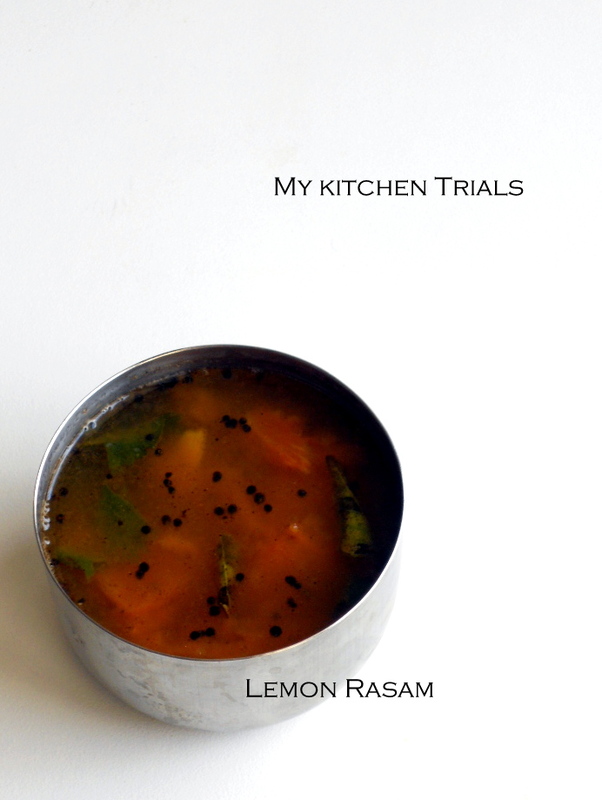 Sounds so delicious and yummy lemon rasam! I simply love Rasam. I have it through out the day when I am down with a cold and feel feverish. Next time I will make this recipe. Stunning clicks..and rasam being my favorite….yes even after a wonderful dinner it is tempting me..very bad Rajani…..this is rather unfair. Such a simple and comforting rasam. Love your version of rasam as well. delicious and very flavorful rasam!!! Even I did L for Lemon Rasam.. 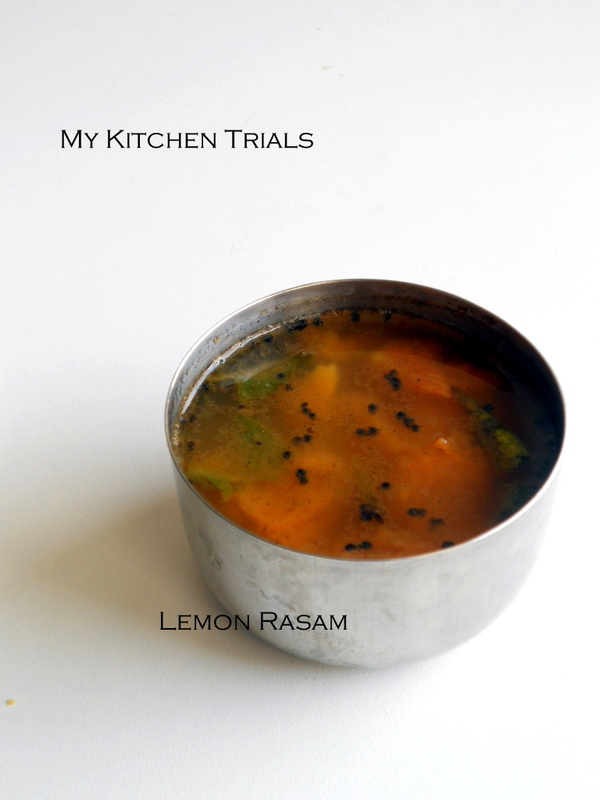 Tempting rasam with delicious curry..
My son loves lemon and this is his favorite rasam! Simple comfort food but so beautifully presented. You must give lessons for picture like this are , to a person like me impossible. I love the rasam but your pics are what are captivating me.